So you have decided to make the commitment to growing your own hops. You bought the rhizomes, you put them in the ground, and now they are starting to grow like Audrey in the Little Shop of Horrors. What to do now, it is actually pretty simple. The first thing is to build a trellis, there are many different types, most have some type of twine that the bine can wrap around up 20-30′. (I’m building a new trellis this year, so I will discuss that in another post.) 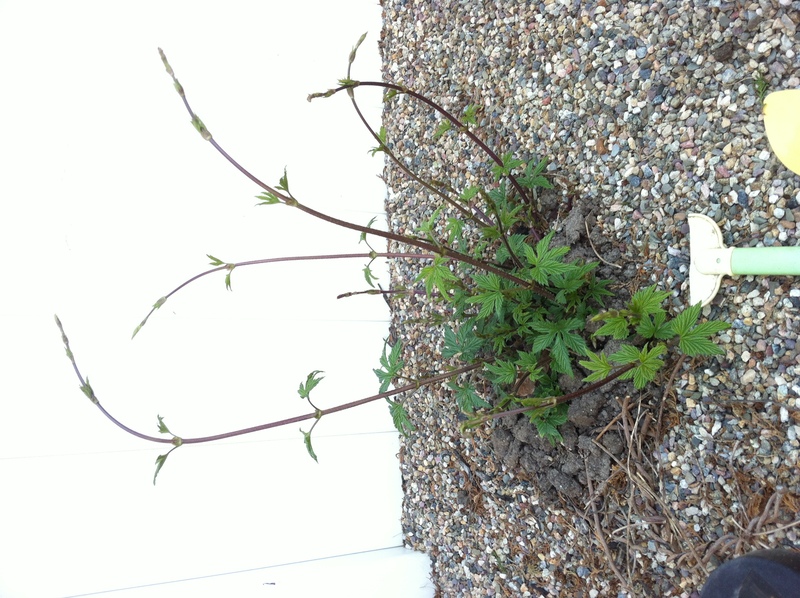 Hops grow very quickly, up to 12″ a week so it is best to be prepared. Once you have a couple of shoots that are reaching 12-24″ tall, you should choose the 3 healthiest ones and cut back the rest. The bines in the photo above are about 16″, they are also only 1 week old. The 3 bines you choose should be wrapped around the trellis in a clockwise direction. Once you have them trained they will pretty much wrap on their own. (In the southern hemisphere the vine grow counterclockwise. ) Tip: Bines are more pliable on warm sunny days, thus easier to train. Be careful of the tips of the bines, they are brittle and can break easily. If they break the bine will branch, you may not want that. AS you can imagine with these fast growing plants, they need tons of water, but not so much there is standing water. This will rot the roots. A drip irrigation system is probably best. A sprinkler can cause mold growth in some climates and with varieties that are prone to it. regular watering, hot dry days, everyday. Watch the Leaves, if they turn color or curl, you could have issues. I highly recommend the Book the Homebrewers Garden. It has tons of info on pests and treatments. 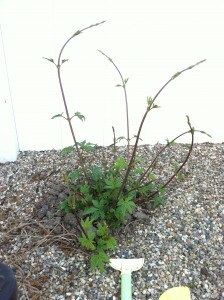 I’ll be posting more how to’s as my hops mature and the care I give them. Previous story Did the AHA Drop the Ball with the National Homebrewers Competition?